I was shopping for a high quality small/compact leather satchel/briefcase that could hold my 10.5” iPad Pro with room for a legal pad, pens/pencils/highlighters and storage for brochures, business cards and sundries. WEBSITE: The Moshi website accurately described and illustrated the bag I ordered. CUSTOMER SERVICE: Since I was not familiar with Moshi, I had several questions regarding this bag. I had a timely email exchange with a representative (Jack Wang). He answered all my questions and assured me that my bag would arrive from China in 3 days...which it did. QUALITY: I am very particular...this briefcase is beautiful and exceeded my expectations. It was expertly packaged and the construction, craftsmanship, hardware, materials and details are much nicer then I expected for a bag of this price. The leather is strong and without imperfections. The nylon lining is color coordinated and the zippers are well made and easy to operate. The briefcase handle and shoulder strap are sturdy and comfortable. NOTE: There is an interior compartment with a velcro closure that unfortunately, is too small for my 10.5” iPad Pro with a slim keyboard case however, it fits very easily in the larger open compartment of this briefcase. Although I have not used this bag yet, I can tell that it is well made and I am very pleased with my purchase. I own a larger vintage satchel that has worn out. If their product wears well, I intend to have Moshi replicate it for me. I would strongly recommend Moshi and have already shared my experience with my friends and associates. I've had the chance to use the camera bag several times now in the field and I am impressed! Heavyweight leather, not the type you find in regular leather briefcases or messenger bags. This leather has strength as well as character. The stitching is heavy duty. The hardware used matches the strength of the bag. I bought the bag to use on office visits where I have to take executive candids. You cannot show up with a lot of equipment, have a limited amount of time and use available lighting. The bag has enough pockets dividers and space to comfortably pack camera body and lens, an extra lens, flash, filters, white balance paraphernalia, backup batteries and remote equipment with room to spare. Not only does the bag fulfill my needs as photographer but doesn't advertise the fact that I am carrying photographic equipment, a plus when traveling in the city. RockCow has a winner here. They've done a great job in design and execution. My plan is to hold onto this bag for years to come. Moshi Leather continue to rock on!! I recently bought a leather bag from moshileatherbag and am impressed in the product as well as the costumer service. I will say when I received my bag it had noticable scuff marks that made it look damaged. Once I noticed this I quickly reached out to Moshi Leather and they promptly took care of the problem sending me another bag with no damages. I truly appreciate the quick response to my problem and thank you you for a great leather bag. It was worth it, thank you. The suspenders are beautiful and perfect for our upcoming wedding. At first we were not happy with the suspenders because the sizing was a little off (big) but once we got in contact with them they helped us and made sure that we got the exact suspenders that we were looking for. I'm glad that they were able to help us with all of our needs and did everything they could to make this day special. I love my bag. It’s great for carrying my laptop with plenty of room for extras. I only wish the leather were a bit softer and pliable but I’m hoping over time that it will become less stiff. Also, I wish the front flap were lined completely instead of just the first couple of inches. The details and workmanship are beautiful though and overall I’m very pleased with my purchase. From ordering, specifying my changes, agreeing the price and delivery was a surprisingly good experience! 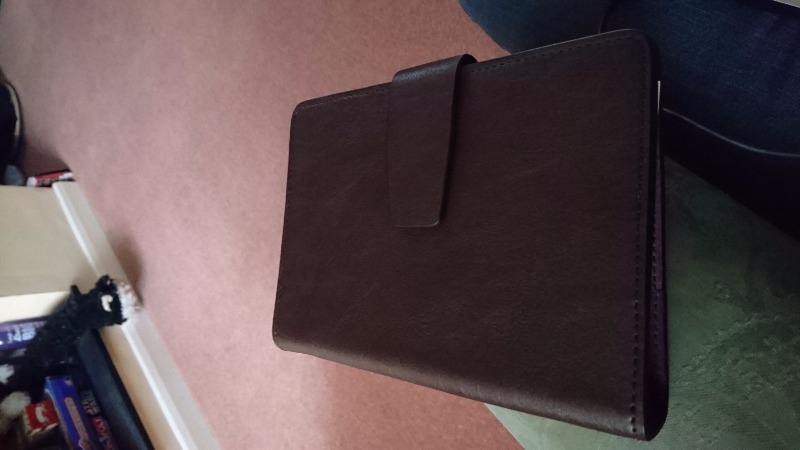 I am now the proud owner of a Chocolate leather, purple interior A5 Journal. 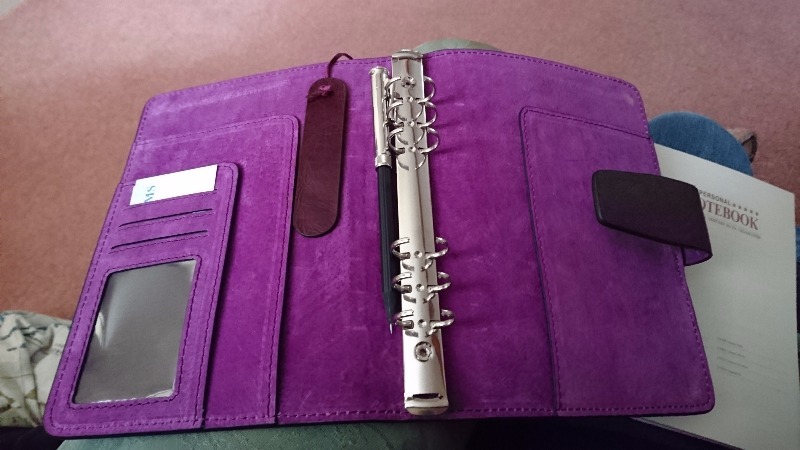 The inclusion of a small leather tab for page finding and a change to the back rear flap to include a flap for holding receipts etc - just what I required. No stress, no fuss - just exceptional service and delivery. Yes I would certainly use them again. amazing! I received it a week ago and I'm taking it everywhere I go. It looks exactly like the pictures. I love it!